We appreciate the dedication and commitment of our generous friends. 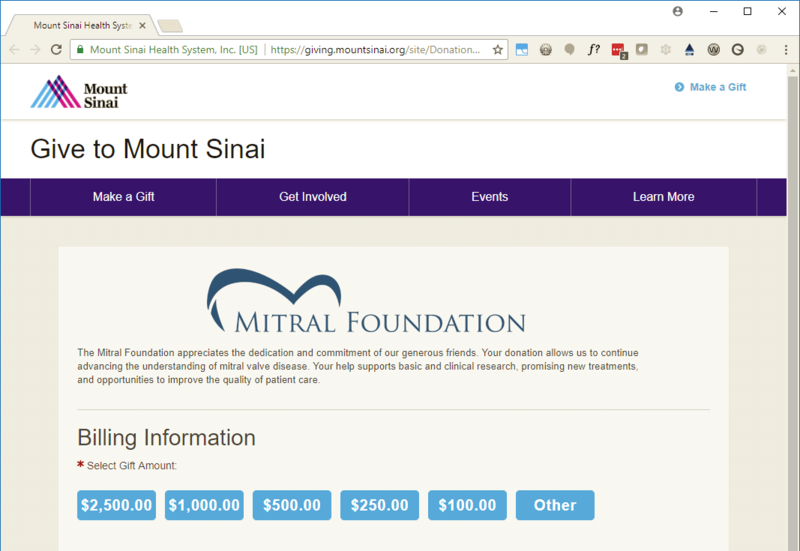 To show your generosity and support Dr. Adams and the Mitral Valve Repair Center at The Mount Sinai Hospital, all donations are directed to the Mitral Foundation on the Mount Sinai secure website. Through the Mitral Foundation, your donation will allow us to continue advancing the understanding of mitral valve disease. Your help supports basic and clinical research, promising new treatments, and opportunities to improve the quality of patient care. Please click here to continue to our secure giving page on the Mount Sinai website. 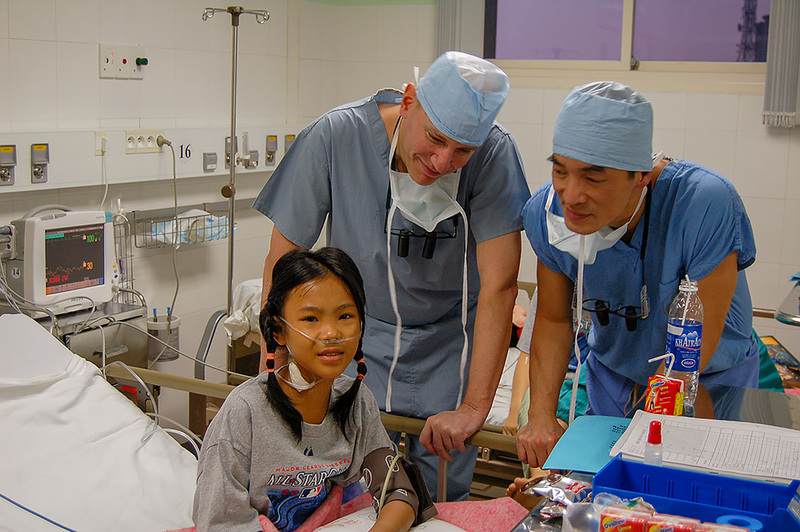 Our secure giving page is hosted on the Mount Sinai website, http://giving.mountsinai.org/mitralfoundation. The Mitral Foundation has adopted a conflict of interest policy covering any dealings with any directors or company in which they have a financial interest.